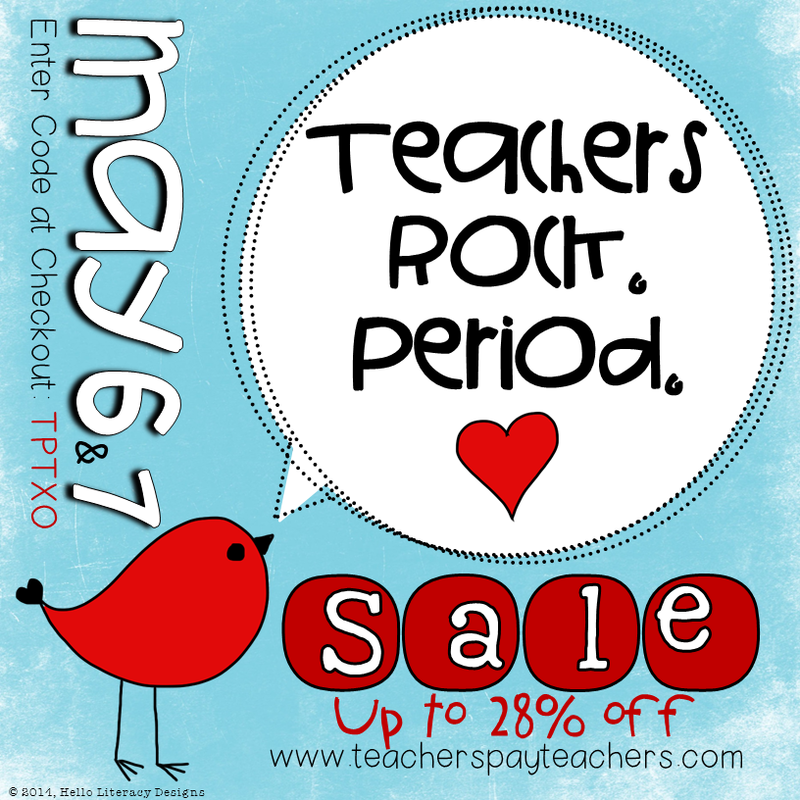 Teachers Pay Teachers is throwing a sale for Teacher Appreciation Week. The site offers 10% off every single product for the two days, and that's on top of the discount many stores are already offering. Enter the code when checking out to get your savings. Everything in my store is 20% off. I have added some new products - I hope you'll go take a look!